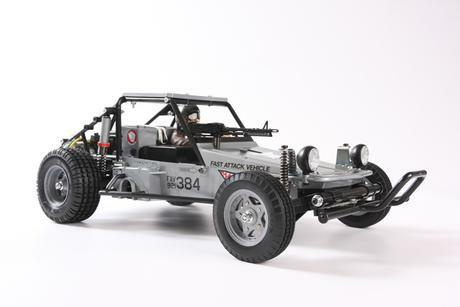 This radio control kit is a variant of item 58496 RC Fast Attack 2011. 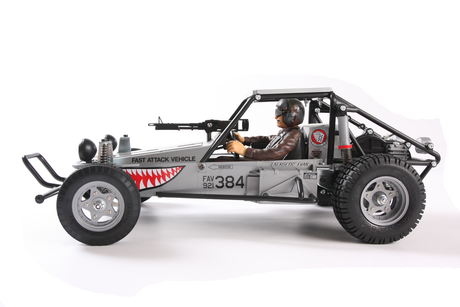 This version includes a sticker set that is reminiscent of WWII era American warplanes. 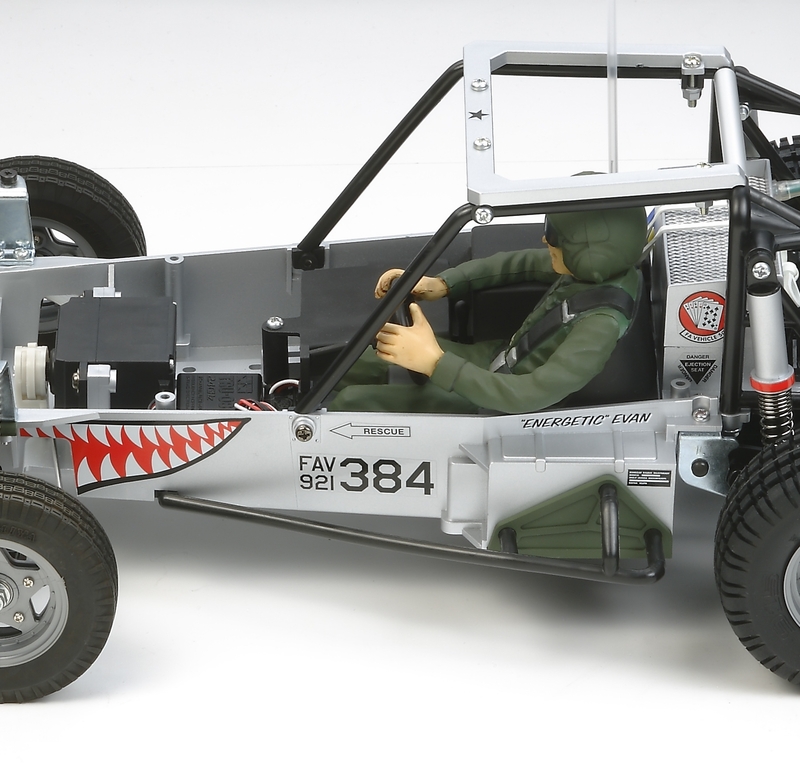 The included sticker set depicts a shark mouth and air force star markings. 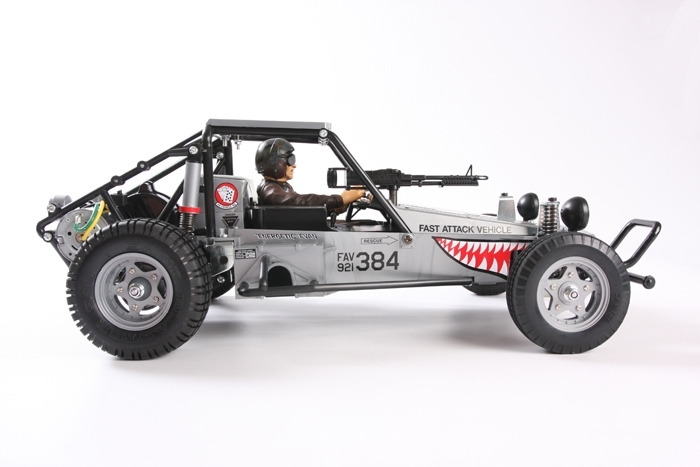 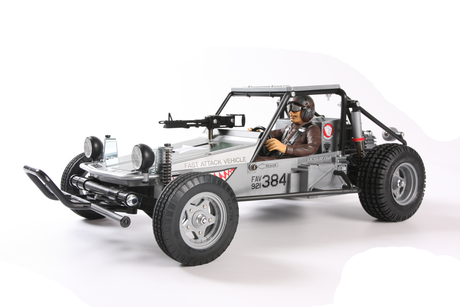 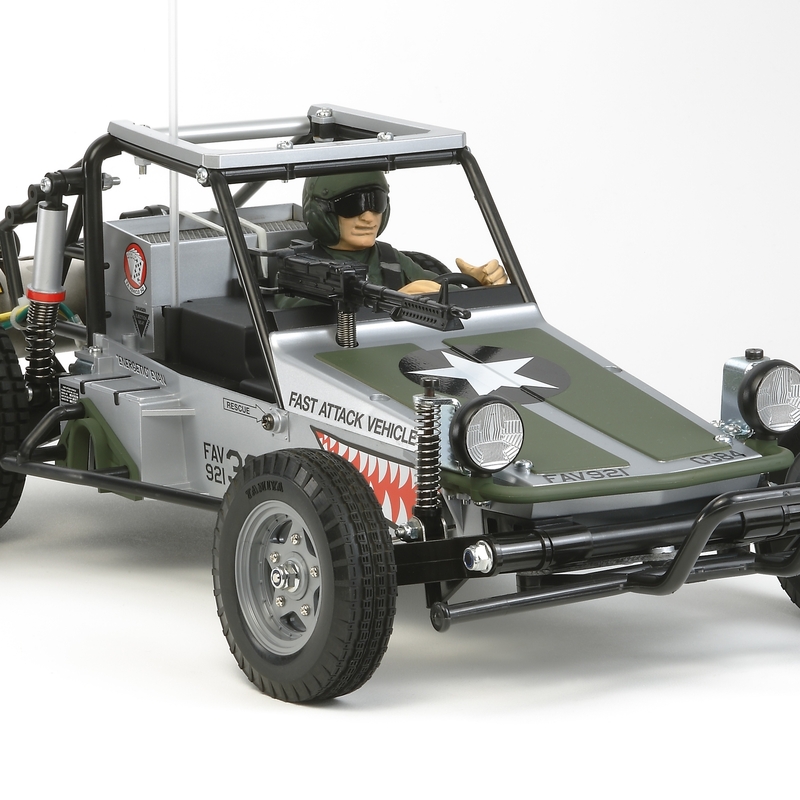 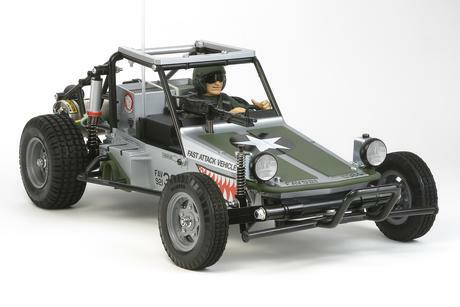 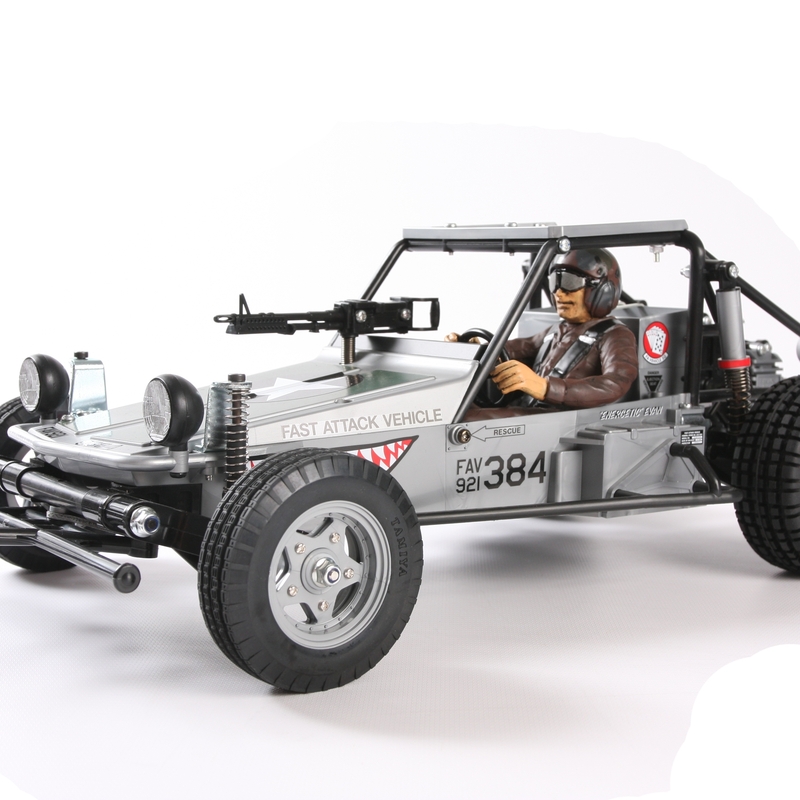 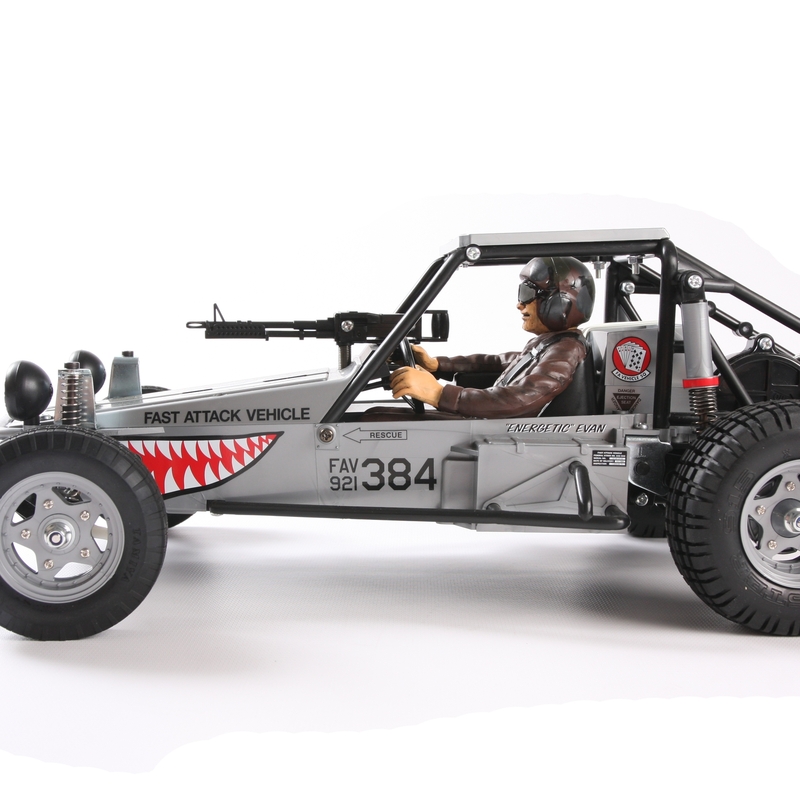 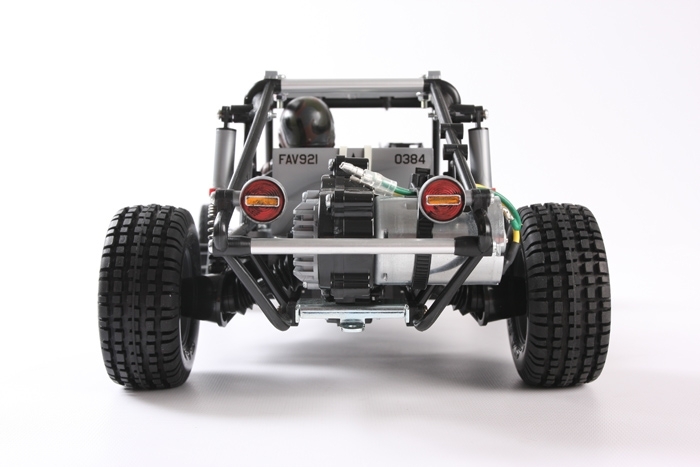 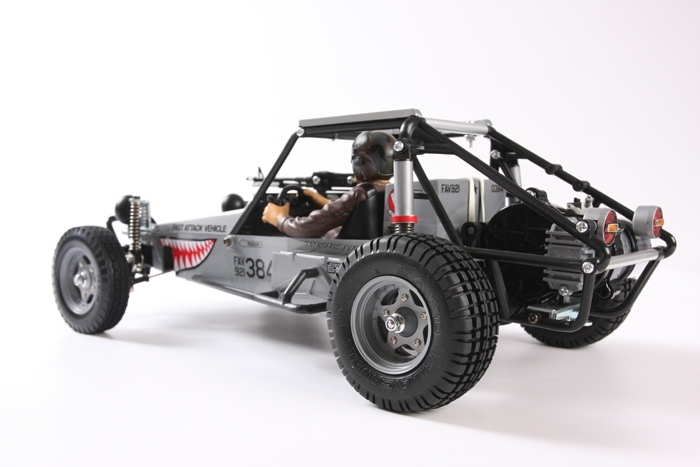 Originally released in 1984, the Fast Attack Vehicle was an R/C buggy that reproduced the look and feel of a special type of a military vehicle. 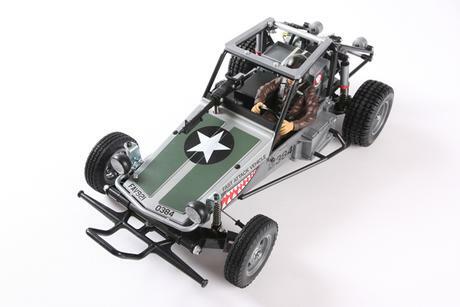 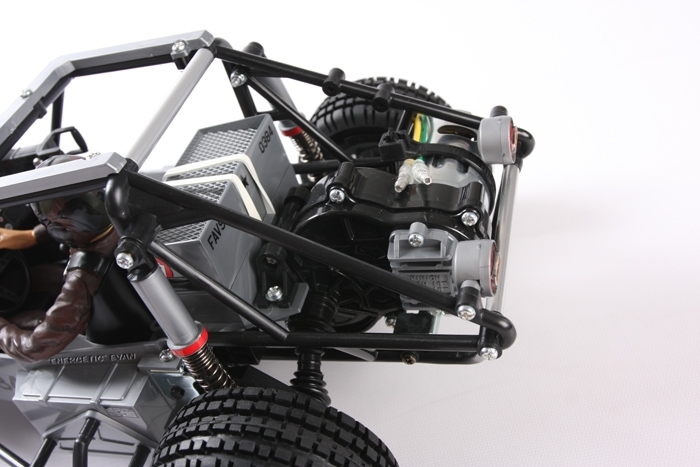 It features a realistic body and roll cage and offers superior off-road performance.